The heart of Filomeluna is full of great respect, admiration and love for Mother Earth. 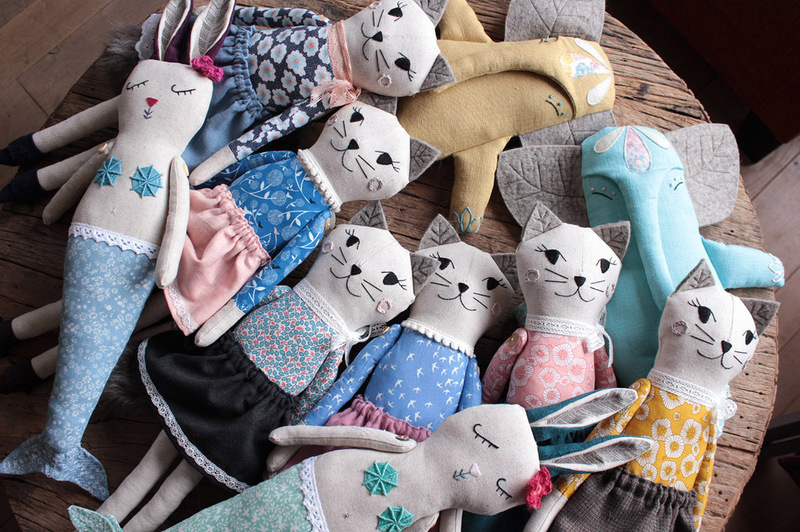 We create -in an artisanal way- heirloom dolls handmade with care and attention to details, love for nature as well as a high quality construction. They are meant to be the best companion and to be treasured for a long time, a friend for a lifetime. Each doll is earth friendly and unique, they came to life after several hours in the making. They are made with natural fibers like wool, cotton, linen, wool felt, alpaca, wool and mohair yarns and they are firmly stuffed with 100% wool as we don´t want plastic inside their bellies. All creations of Filomeluna are originally designed and handmade by Marlene Parra. Filomeluna was born in Antwerp, Belgium and the studio is now located in Mexico City. In this sunny place personages like Owleaf, Arboreas, Folky Girls, Mamma cats and so on are created. We hope that these huggable and one of a kind creatures make everyone to connect or reconnect with their internal kid and trigger their imagination. Everything is possible and we think that we deserve a better world where we revalorate the products that are made in a healthier relation with our beloved Planet. These collectable dolls are our way to contribute to that.